Do you know what’s in your perfume? Or what gives your favorite night cream its sweet scent? Most perfumes on the market will boast an ingredient list with seemingly natural additives – for instance, essential oils and plant based extracts – followed by the inconspicuous umbrella ingredient simply listed as “fragrance.” When you see this lonesome word, your alarm bells should be going off. Labels listing “fragrance” on their ingredient lists are typically hiding an array of alarming chemicals and toxins that can be extremely harmful to both internal and external health. It’s important to be aware that cosmetic companies have a great deal of freedom and leeway to include whatever they want in “fragrance,” because they aren’t legally obliged to disclose the constituent ingredients. What this has produced is a situation where there’s a serious lack of disclosure around conventional perfume formulas. And because research has linked serious medical conditions to chemicals often found in typical perfumes, this lack of disclosure could be affecting your health. Your skin absorbs what you put on it, and it’s important to stay aware of chemicals and toxins that could be lingering within seemingly innocent products. 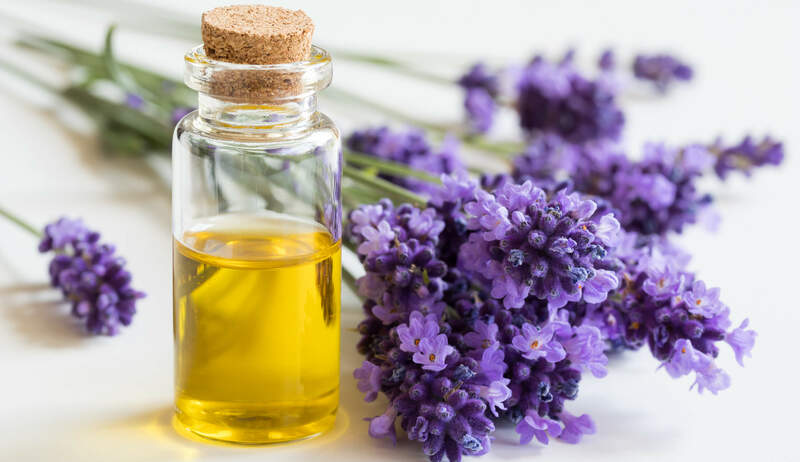 In light of the health concerns surrounding conventional perfumes, we use freshening essential oils and florals instead - ingredients that have a heavenly scent with real effects and benefits for the skin, without any of the dangerous side effects. Here we’re spotlighting some of the facts about what the label “fragrance” actually means, and taking a look at some plant-based alternatives. So What Perfume Ingredients Should I Avoid? First: what are some of the harmful ingredients hidden within conventional perfume products? There are up to 60 chemicals and toxic ingredients that typically fall under the “fragrance” umbrella – these go undisclosed because beauty companies want to protect their “trade secrets” from competitors. But what remains unprotected is our skin and internal health. Perfumes contain phthalates, a chemical used to generate a plastic and flexible texture in a wide variety of cosmetics. The phthalate found in perfume is diethyl phthalate, or DEP – it’s been linked to internal endocrine disruption and hormonal displacement. Plus a 2007 study found that higher levels of phthalates detected in the urine of adult males correlated with increased waist circumference and insulin resistance. Synthetic perfumes also typically include benzene derivatives, a vanilla-like inorganic fragrance proven to aggravate the respiratory system. 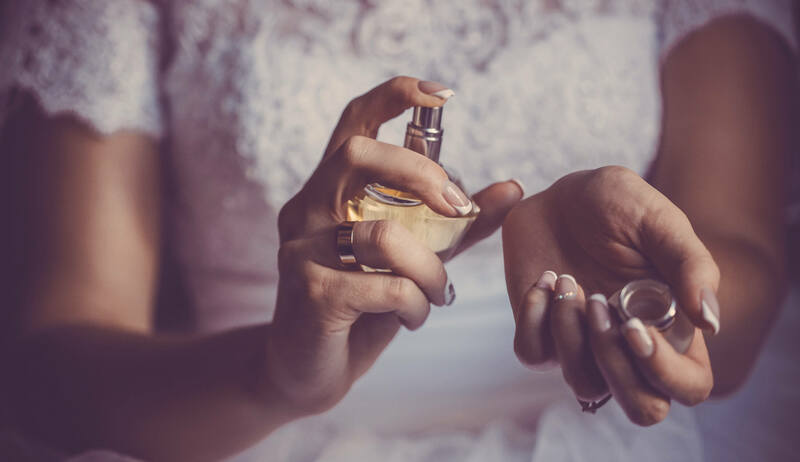 Other chemicals that have been found in perfume include acetone, benzaldehyde, benzyl acetate, benzyl alcohol, camphor, ethanol, ethyl acetate, limonene, linalool and methylene chloride. These toxins all have one thing in common: they can all cause central nervous disorders, respiratory problems, dizziness and fatigue. The takeaway is that conventional perfumes can trigger issues ranging from weight gain to hormonal disruption to respiratory irritation, with a range of unstudied symptoms in between. What this all means is that this conversation extends beyond skin health. Topically applied chemicals are absorbed into our bloodstream, organs and cells. Just because a person has no immediate allergic reaction or irritation when they apply a conventional perfume product, does not mean they aren’t ingesting fat soluble toxins that will build up in the body over time. It’s better to play the long game with perfume, remember that what goes on your face ends up in your body, and opt for plant-based ingredients that you’d be comfortable eating. Hop over to the Puristry guide to skin absorption of cosmetics for a closer look at links between external application of cosmetics and subsequent presence of chemicals internally. Here’s a perfume pro tip for you: often perfume formulas will be made with a mixture of both synthetic and organic ingredients, so make sure you’re reading labels carefully. Synthetic fragrances are created in a lab often with the aid of petroleum and solvents like hexane – companies use them as filler in otherwise “natural” products, because they’re cheaper to include and manufacture than organic alternatives. Non-toxic fragrances are complex compounds composed of aromatic raw ingredients. They’re obtained from plants using distillation and extraction, and can take the form of fruit and plant oils, essential oils, florals, and hydrosols. These are the kinds of alternatives we use in our Puristry formulas to create luxurious and energizing scents without compromising on the health or medicinal properties of our organic cosmetics. Take for example our ultra sweet-smelling and lusciously scented Flower Water Toner. Its fragrance comes from organic rose flower water and calendula hydrosol, plus organic honeysuckle extract, which doubles up as a natural preservative that elongates the shelf life of this little gem sans harsh preservatives. Our philosophy at Puristry is to use organic plant-based ingredients which enhance your skin, and also smell amazing by virtue of the simple fact that they’re close to their original states as plants, seeds and flowers. Ultimately, it’s important to be aware of ingredient lists (a practice you should always be following). Armed with this knowledge, it might be time for you to nix your conventional drugstore perfume formulas. When you’re looking at what you want to be applying to your face, it’s best to go with a less-is-more philosophy. Especially if you’re layering products in a multi-step PM routine – which is great and can be an effective way to battle skin issues on many fronts – it’s important to keep ingredient lists clean. This also helps you ensure that you’re getting maximum value out of your skincare products. Often conventional formulas contain a wide variety of chemically synthesized fragrances that act as fillers, essentially taking up volume in the product’s bottle, without enhancing its skin benefits. 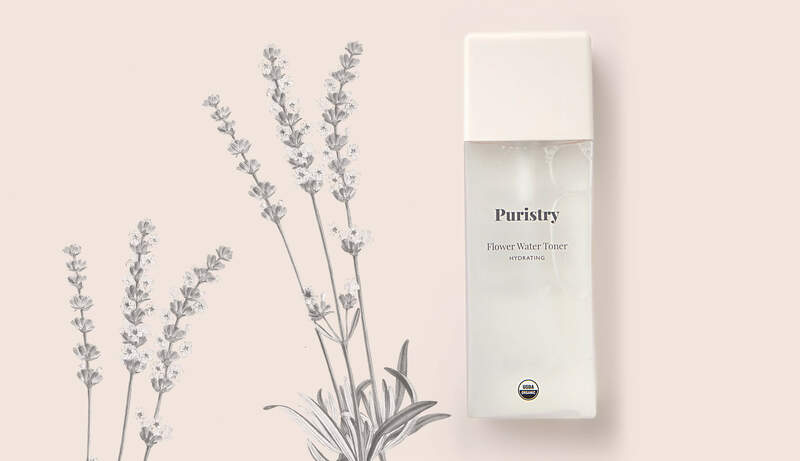 At Puristry, all of our ingredients are active, meaning that they do more than simply add scent: they also target skin issues ranging from oxiditive stress to congested pores. For example, in our Yerba Mate Eye Cream, organic bergamot citrus oil adds a lively and bright floral scent note, while simultaneously amping up the Vitamin C content and its associated skin brightening and evening benefits. All this is to say: we’re interested in using fewer high quality ingredients with multifunctional applications rather than cheap and toxic ingredient placeholders that won’t nourish, protect or prevent. Beautiful scents are just one of the many benefits of plant-based and naturally sourced organic ingredients, so the value is built in. The verdict? Fragrance free or organic, plant-based scents are the way to go.